An external cooler or oil to air (OTA) cooler is a separate device used to lower transmission temperature. 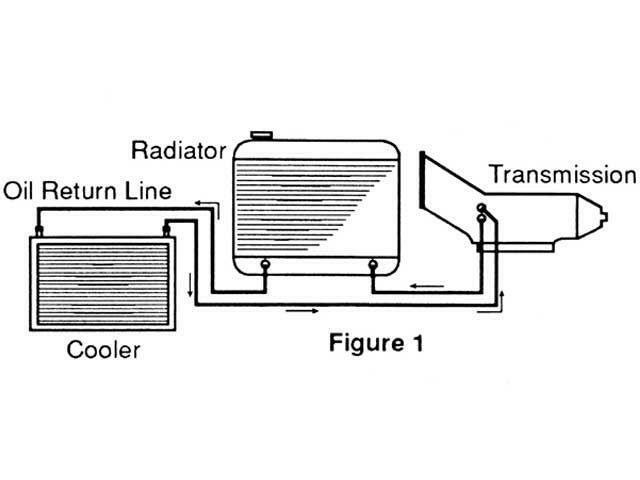 The transmission fluid passes from the transmission in a fitted line going into the external cooler.The external cooler catches air, just like a radiator allowing the fluid to reduce heat. The fluid then goes through another fitted line and back into the transmission at a much lower temperature. The main cause of transmission failure is overheating. By installing or replacing the original cooler, you are most likely to get a longer life out of your vehicles transmission.